The PT-VZ580U features RCA composite video, two HDMI, and two VGA inputs to connect to nearly any device. Its analog audio input and output will allow you to pass sound through the projector to your sound system of choice, and one VGA input can instead act as an output to daisy-chain multiple projectors or displays together. The PT-VZ580U is controllable via the included remote control or Ethernet, with various control software options. 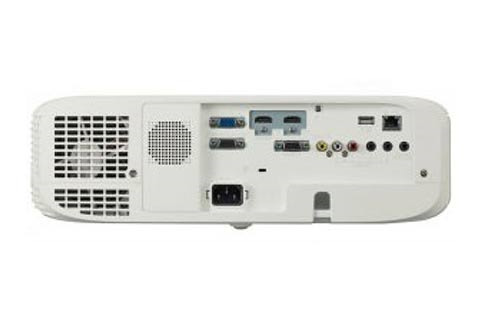 The WUXGA (1920 x1200) resolution native to the PT-VZ580U brings HD imagery to meeting spaces and classrooms for immersive viewing. With 5000 lumens of brightness and a dynamic contrast ratio of 16,000:1, your audience will enjoy legible text and detailed colors. 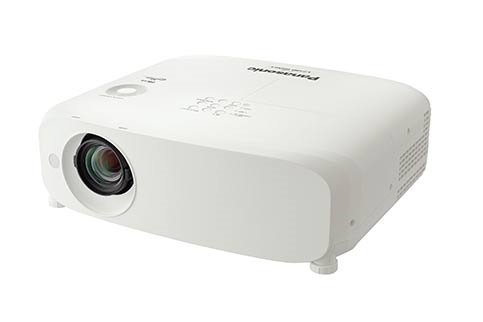 Users can correct for slight color variations in the reproduction range of individual projectors set up for multi-projection. This is particularly useful for side-by-side configurations; large images can be seamlessly presented in auditoriums and boardrooms. The PT-VZ580U is designed for enhanced efficiency. Its air filter replacement cycle is up to 7000 hours, and the filter can be washed and reused twice to minimize waste. Lamp life is also extended to 7000 hours in ECO2 Mode, meaning part replacement can be performed together to reduce downtime. This technology is designed to deliver sharp, comfortably viewed images by enhancing fine details, particularly in dark areas of the image, which are typically difficult to see in brightly lit rooms. A built-in sensor measures ambient light while Daylight View Basic (when set to AUTO Mode) adjusts halftone color and brightness to suit ambient illumination. 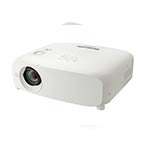 The projector's technologies combine to keep noise levels down to just 29 dB in ECO2 Mode, so the sound of the cooling fan is hardly noticeable, helping to keep attention focused on the presentation and video scenes. 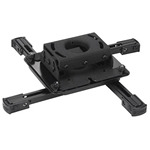 The zoom lens allows you to project from a range of distances from tabletops or ceilings. Use the vertical lens shift to adjust the image position without distortion. 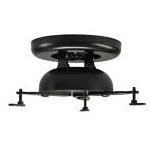 To reduce hassle, the filter can be replaced via the side and the lamp from the top of the projector, so there's no need to remove the projector from its ceiling mount for periodic maintenance. 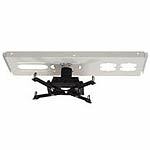 Images can automatically be rotated depending on installation orientation – upside down from the ceiling or set on a table – using a built-in angle sensor. 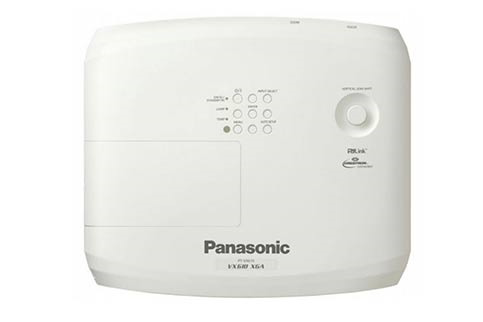 Download the manufacturer spec sheet for the Panasonic PT-VZ580U.